A very strange comment coming from a “car guy”. Kurt has come full circle in over 32 years in the car business. Over 32 years ago Kurt started as a salesperson on the floor of a large dealer group in the Dallas Fort Worth area. It didn’t take Kurt long to figure out there was a lot of money to be made in a dealership. Kurt rapidly moved thru the management positions with some of the best dealerships in town. Kurt was extremely proficient in getting the customer to believe “they were getting a great deal”, while all the time he was making thousands of dollars for the dealership. Then one day Kurt decided there has to be a better way. A way to spend time with his children instead of working 80 hours or more a week. Kurt was missing his children’s formative years. This was far more important to him than any amount of money. Through the generous support of some local dealers, Kurt started to provide seminars for the purpose of educating the buying public which in turn led to the development of The Automotive Edge Radio Show. 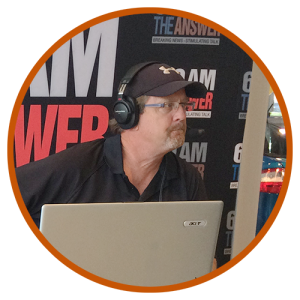 Now 15 years after the launch of the Automotive Edge Radio Show hundreds of people have been helped and thousands of hard earned dollars have been saved.